Home › Blog › Featured articles › Don’t Miss #Ousefest 2016 on your Summer Narrowboat Holiday! OuseFest is a local Cambridgeshire event that falls right in the middle of the summer narrowboat holiday season. There are more than 100 fun, local events planned over the fortnight of 18th to 31st July, which celebrate the Ouse Washes Landscape and communities. The Ouse Washes are an area in the Fens of Cambridgeshire and Norfolk. They cover the area between two diversion channels of the River Great Ouse: the Old Bedford River and the New Bedford River and they are known for their wildfowl and nature reserves. The Ouse Washes Landscape Partnership scheme focusses on the distinctively rural, open and tranquil landscape surrounding the Ouse Washes and its unique heritage, and is Heritage Lottery funded. Over the two week period the local area will be host to guided walks, photography workshops, fun days, family-friendly nature activities, exhibitions, poetry readings, workshops, talks, theatre performances and film screenings. There are many opportunities to learn about the history, wildlife and traditions of the Fens. A full programme of events is available at the Ouse Washes Landscape Partnership website. Many of the OuseFest events can be visited by boat. For example there is a free Made in the Fens Craft Workshop on Saturday 30th July 1pm – 4pm at Ely Museum, Market Street, Ely, and there are other craft workshops, including rag rugging, in other locations. On Saturday 23rd July St Ives Town Team presents ‘The Merrie Wives of St Ives’, or ‘Much Ado About Tommy Do’: A summer evening on the quay, including a play and barbeque with hog roast. These are just three options you can choose out of a very varied programme of events. “OuseFest 2016 has plenty going on near the waterways. Boaters could visit all the events happening in the major riverside towns: Downham Market, Denver, Ely, Earith and St Ives. 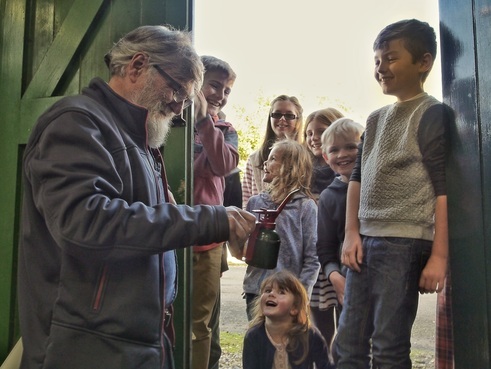 There’s also a fantastic Fenland storytelling event on July 28th at the Ship Inn (on the Great Ouse at the junction with the Little Ouse) and a Family fun day on Sunday 24th July at Prickwillow Museum on the River Lark where they will be running their pumping engines. On the same day, Stretham Old Engine (on the Great Ouse) will also be running their fascinating pumping engine”. ‹ Do you Make These 3 Canal Boat Summer Holiday Mistakes?